Tonight is the night! Bruce & The E Street Band join a superstar lineup at New York City's Madison Square Garden for 121212: The Concert For Sandy Relief benefitting the Robin Hood Relief Fund. The show kicks off with a bang as Bruce & The E Street Band take the stage promptly at 7:30 pm ET, so you don't want to be late! 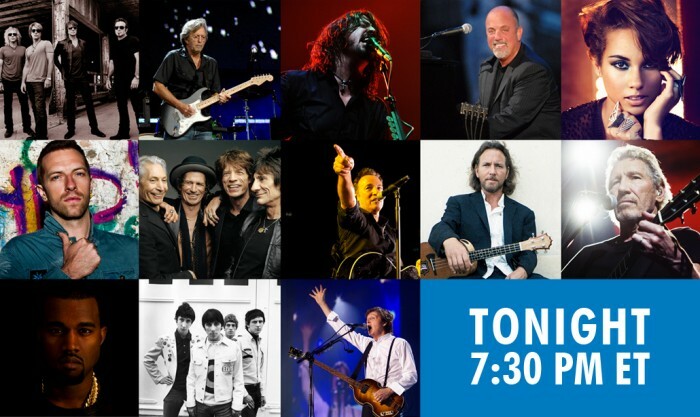 Other performers include Paul McCartney, The Rolling Stones, The Who, Eddie Vedder, Billy Joel, Roger Waters, Eric Clapton, Chris Martin, Bon Jovi, Alicia Keys, and Kanye West plus a cavalcade of celebrity presenters and comedians in between sets. Columbia Records will also be releasing an album of 24 of the night's standout performances which you can pre-order now on iTunes. The show will be broadcast around the world on TV and online including Bruce Springsteen's official Facebook page. You do not want to miss this once in a lifetime concert event so tune in tonight!